A female wild turkey was observed exhibiting signs of illness last May in Shawville, Québec (Outaouais Region). The bird spent two days in a tree and did not seem to be able to fly. The bird, which had several skin masses on the head, was euthanized by staff with the Ministère des Forêts, de la Faune et des Parcs. The head of the turkey was submitted for analysis to the CWHC Québec Region laboratory at the Université de Montréal. Upon macroscopic examination, several variously sized skin masses covered by yellowish crusts were observed around the beak, on the eyelids, on the head, and on the neck (Figure 1). The nares were obstructed by the accumulation of dried-up necrotic material. Histological examination showed that masses were composed of a marked infiltration of the skin by numerous lymphoid cells showing a high degree of pleomorphism (marked variation of the size and the shape of the cells). This cellular infiltration often formed nodules centered on feather follicles. 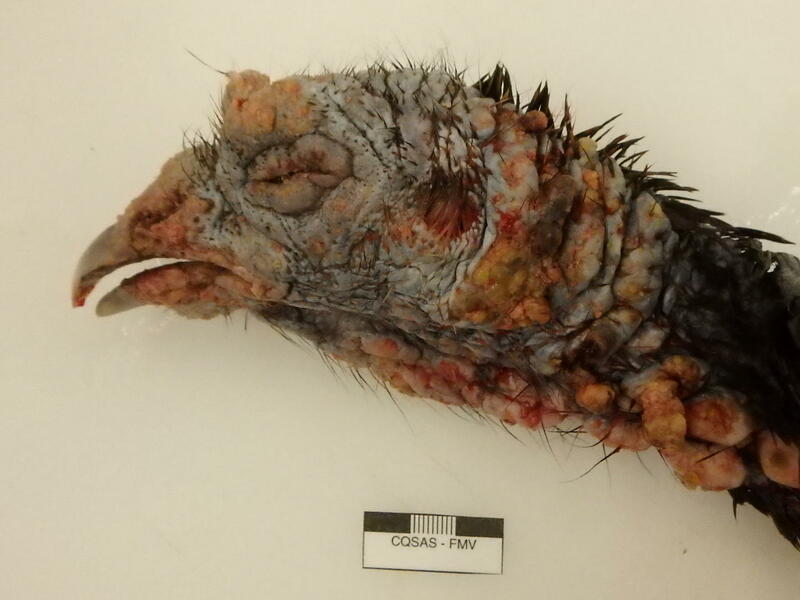 FIGURE 1: Head of a wild turkey affected by lymphoproliferative viral disease. Numerous masses covered with crusty material are present. The histological feature of these masses is characteristic of an infection by the virus causing the lymphoproliferative viral disease of turkey. 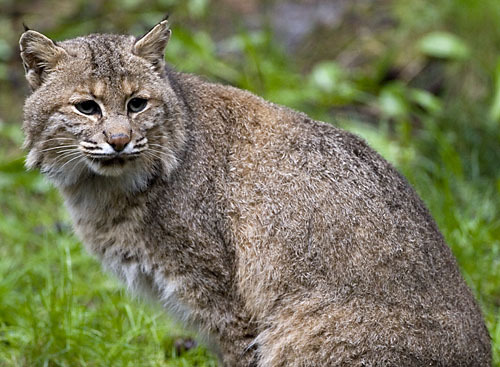 The presence of this virus was confirmed by PCR at the Ontario Veterinary College (OVC). This condition, caused by a retrovirus, is associated with the development of neoplastic changes (tumour) of lymphoid cells. The neoplastic lymphocytes can invade the skin as well as internal organs. When the lesions are extensive, like in the present case, this condition can be fatal for the birds. This disease was documented for the first time in 1978 in breeding farms of domestic turkey in Europe. The first case of lymphoproliferative viral disease diagnosed in a wild turkey was documented in the USA in 2009. The source of this virus is unknown, but it is believed that it has been in the wild turkey population for a very long time. Surveys of wild bird populations for this virus indicate that approximately 50% of wild turkeys in the USA carry the virus. Despite high incidence of this disease, the occurrence of tumour formations is uncommon. 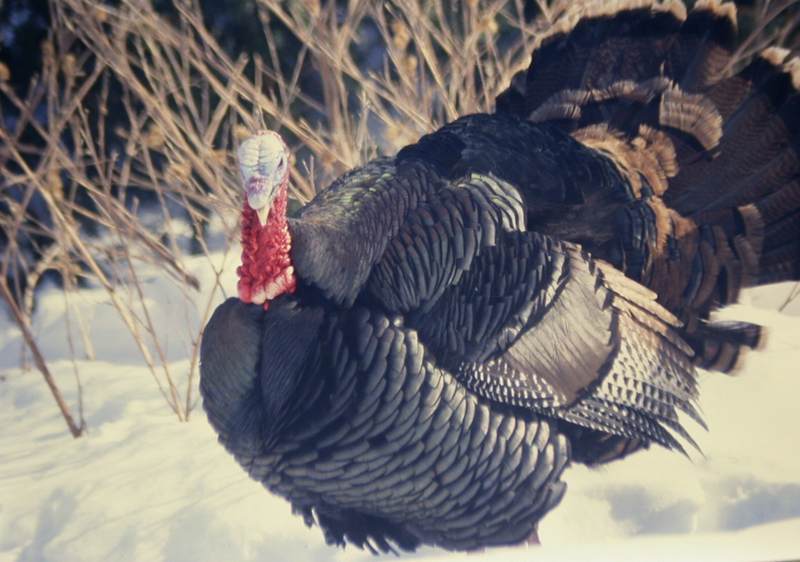 In a recent study done in Ontario, a team lead by Dr. Nicole Nemeth from the University of Guelph found the virus in 66% of the wild turkeys tested. None of the birds in the study were affected by the disease. Actually, it appears that the case presented here is the first instance of this disease reported in Canada. The means by which this virus is transmitted remains unclear, but it is believed that transmission from one bird to the other may occur either via direct contact, indirectly through vectors, or vertically from hen to offspring. It should be pointed out that the gross appearance of the skin lesions caused by this virus is quite similar to the lesions observed with infection by poxvirus (a well-known virus in wild turkey). Consequently, specimens with skin lesions should be submitted to the laboratory if we wish to identify the cause of the lesions observed. The small number of cases documented, despite the high prevalence of infection, suggests that this virus has a low pathogenicity and does not cause high level of mortalities in the population. Nevertheless, the impact of this disease on the wild turkey population dynamic remains unclear. Despite the wide distribution of this virus in populations of wild turkeys in North America, this disease has not been observed so far in breeding farms of domestic turkey. This suggests that the risk for the poultry industry is low. It should be mentioned that this virus does not infect people and therefore does not represent a risk to human health. Thanks to Dr. Nicole N. Nemeth and her team at the OVC (University of Guelph) for their help with this case.